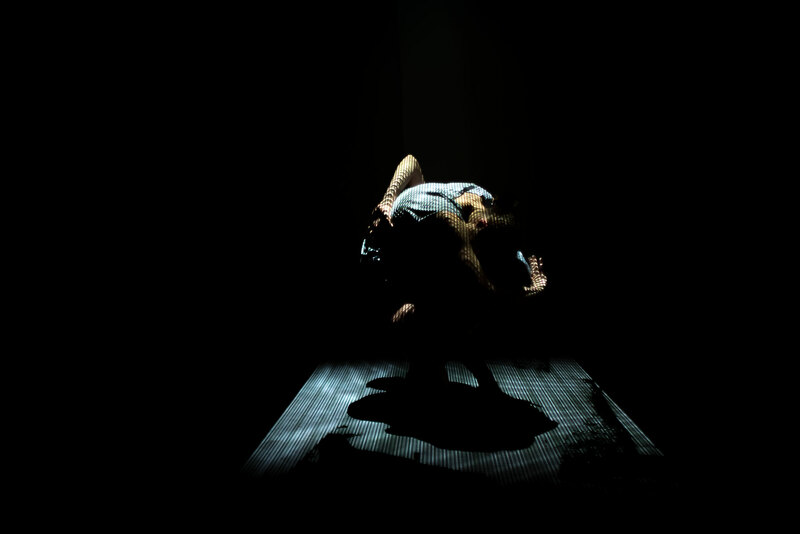 MATTER is a collaborative work of choreographer Dafni Antoniadou, composer Constantine Skourlis and artist Stathis Doganis. MATTER sublimely unites the distinct visions of its three creators. Skourlis’ hypnotic, almost overwhelming soundtrack based on theories of quantum physics pulses out in waves, subtly blending acoustic strings with synthesisers and electronics as it anchors the movements of the two dancers. Doganis’ designs subvert convention, setting a backdrop of chain-link video projections while creating new perspectives for the perception of space. And Andoniadou’s intricate, mesmerising choreography, dealing with notions of space and time creates a rhythm that complements the aesthetic whole. An immersive distillation of the minimalist aesthetic that keeps her work at the cutting edge.